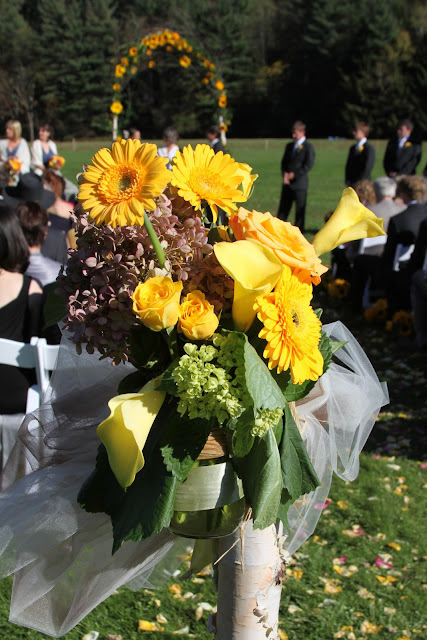 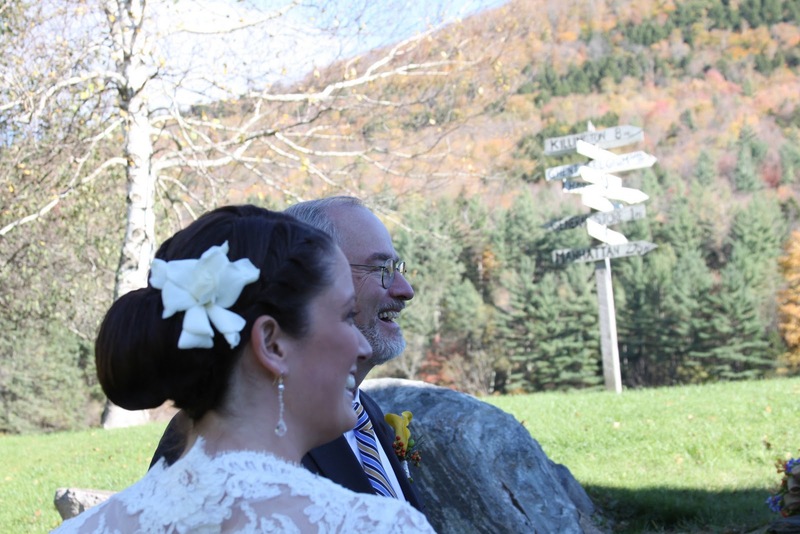 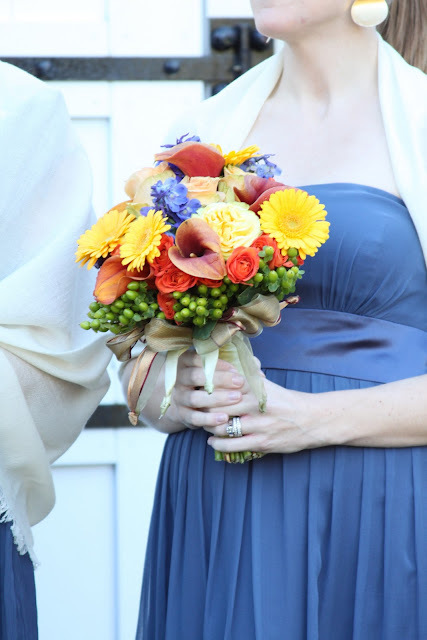 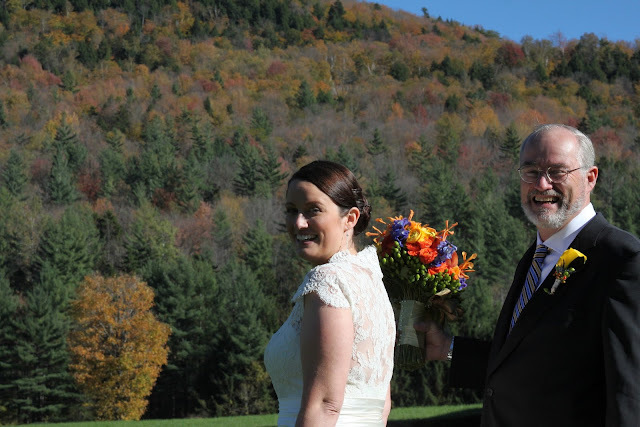 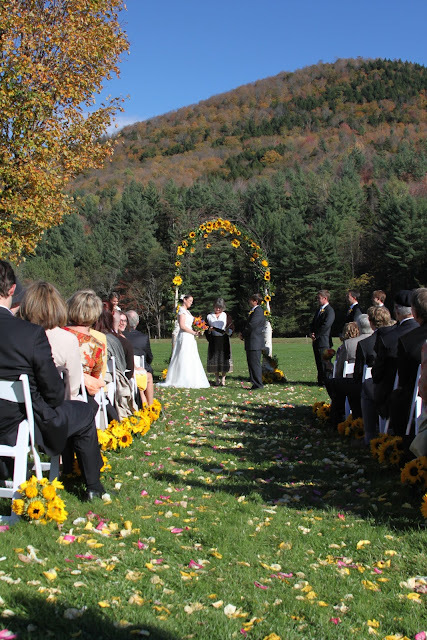 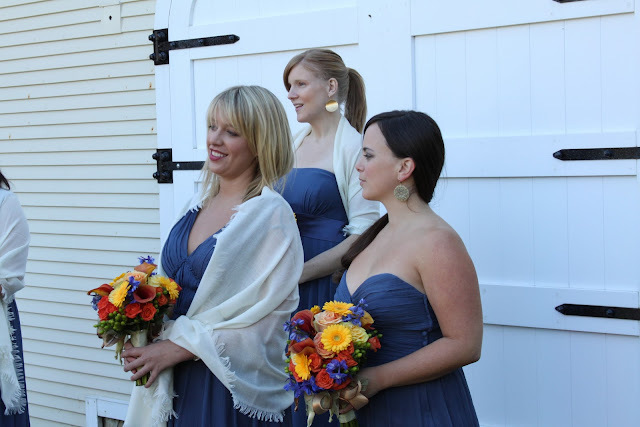 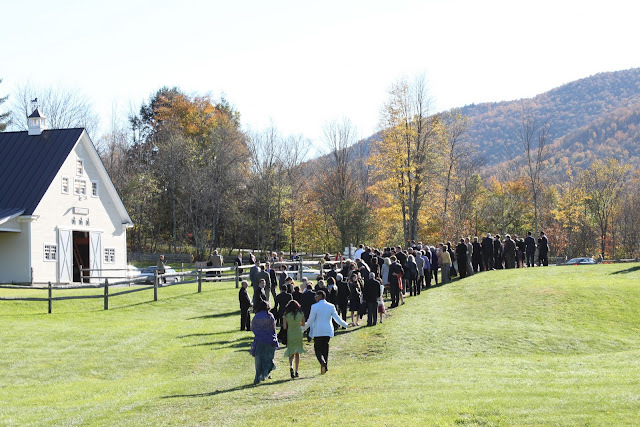 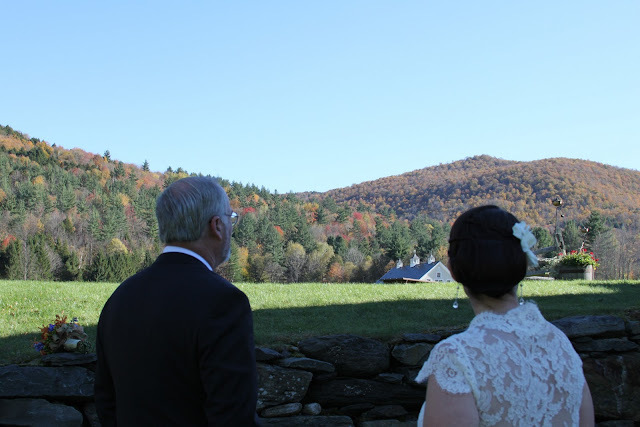 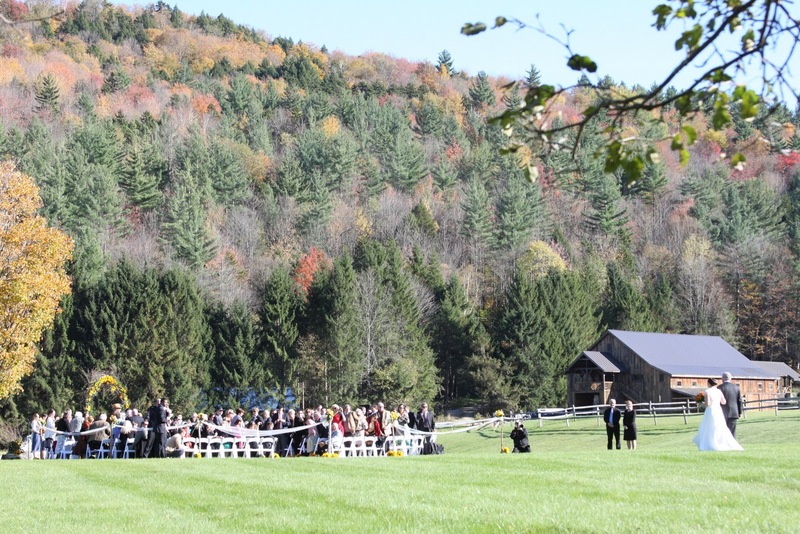 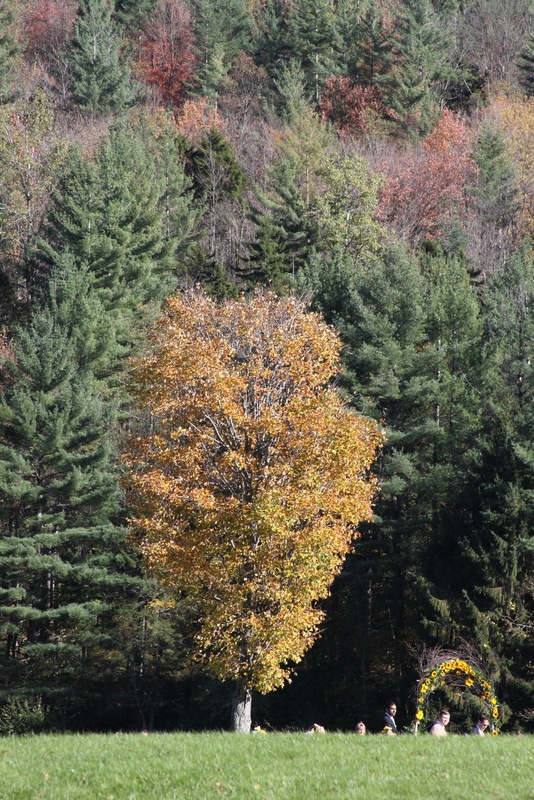 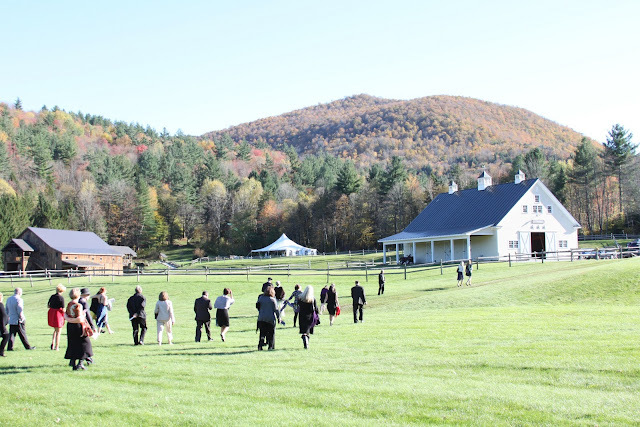 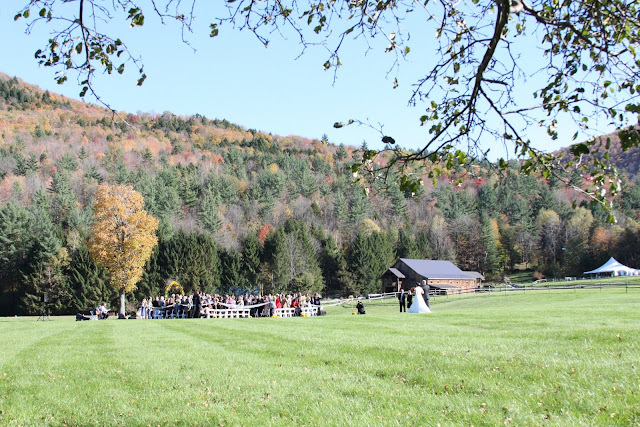 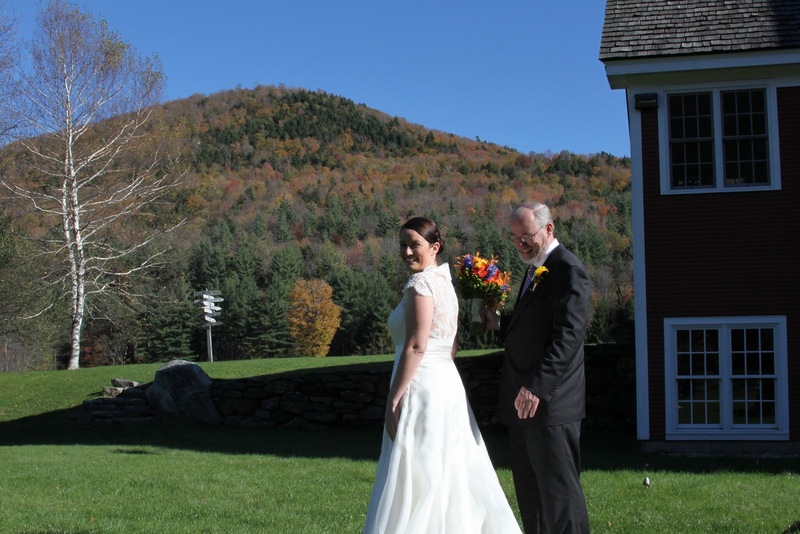 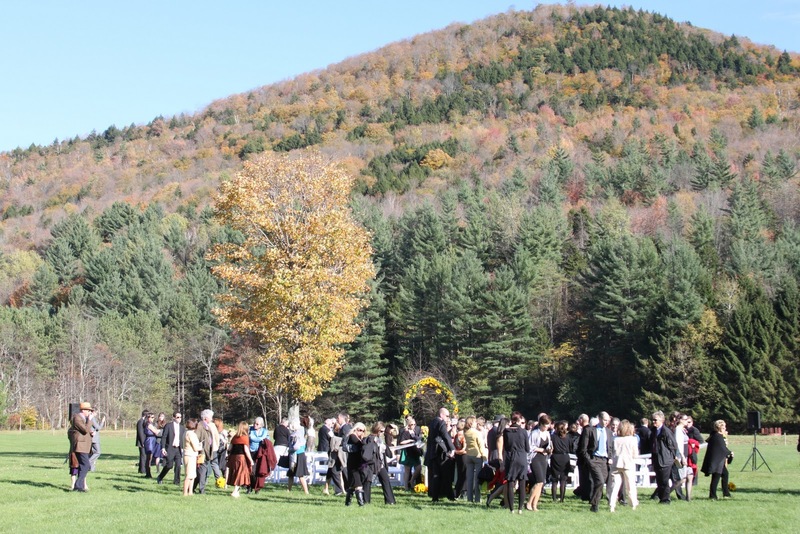 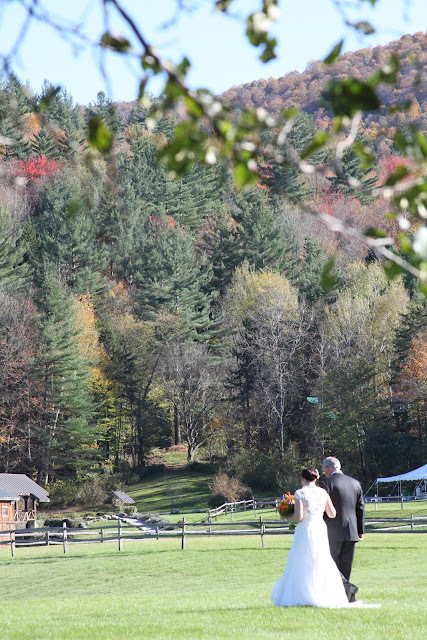 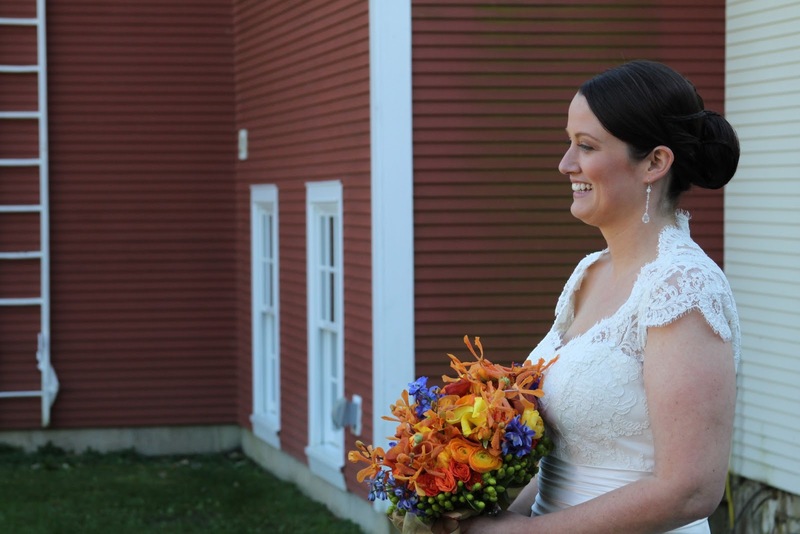 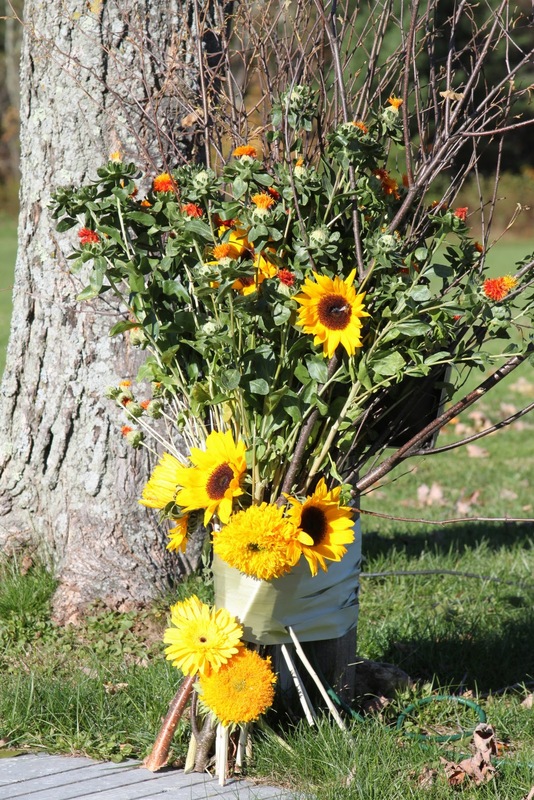 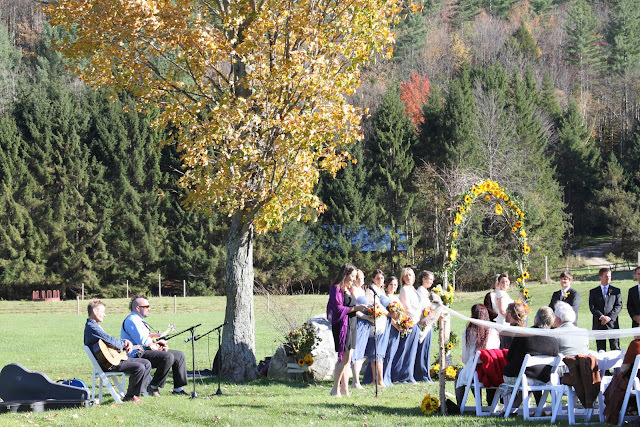 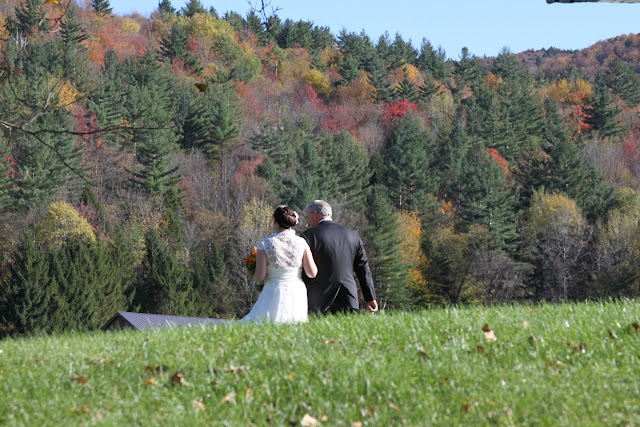 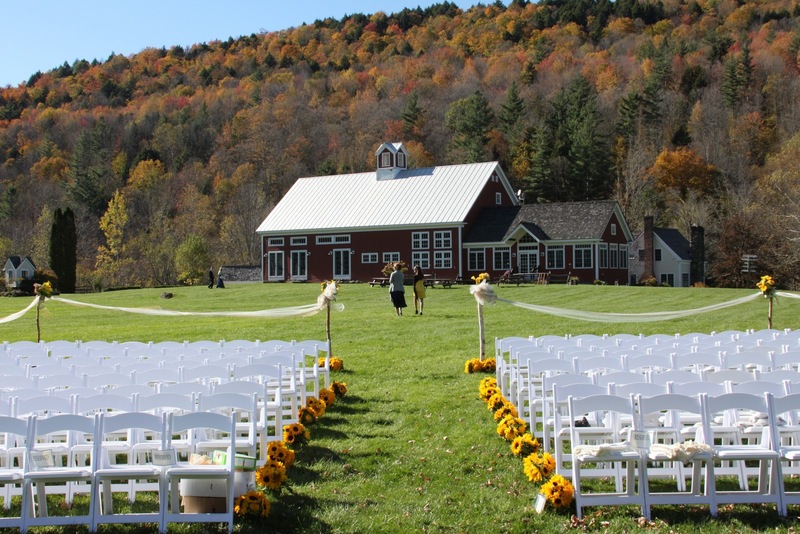 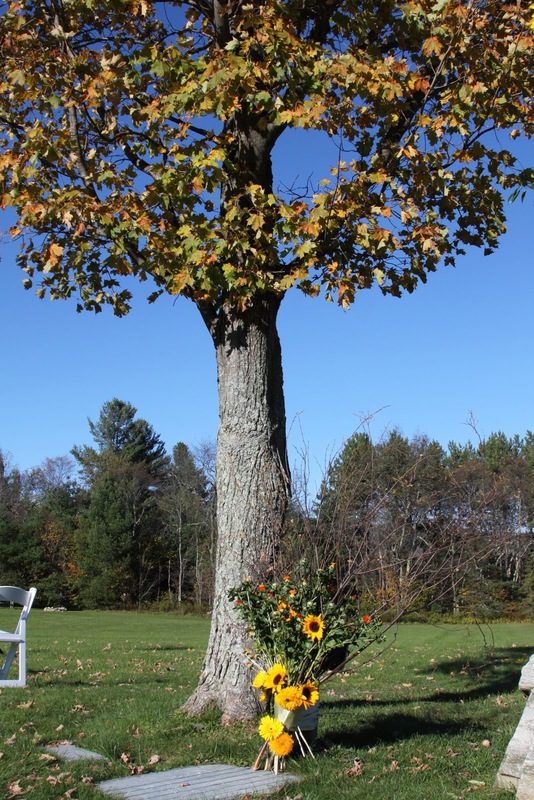 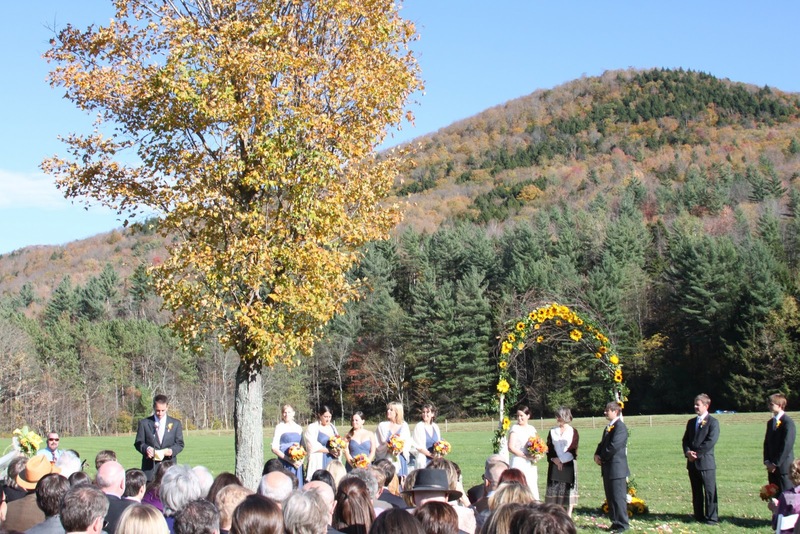 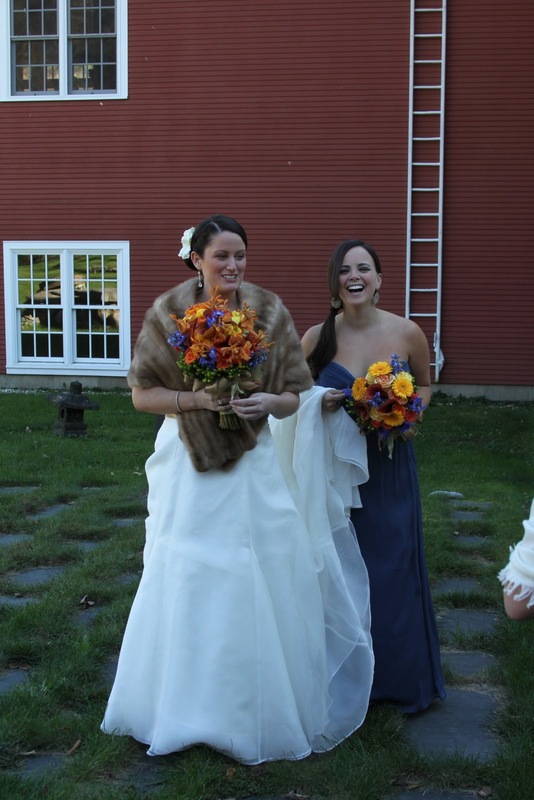 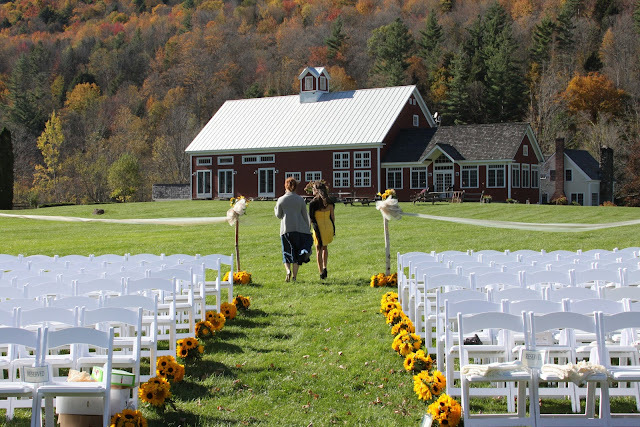 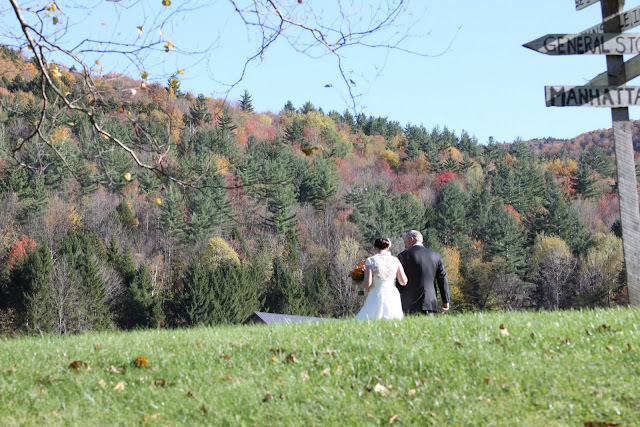 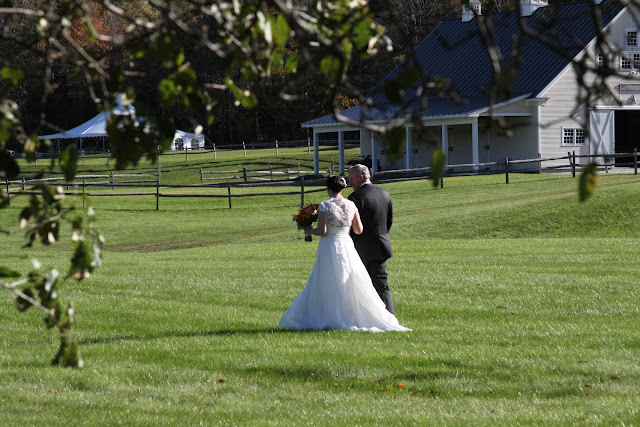 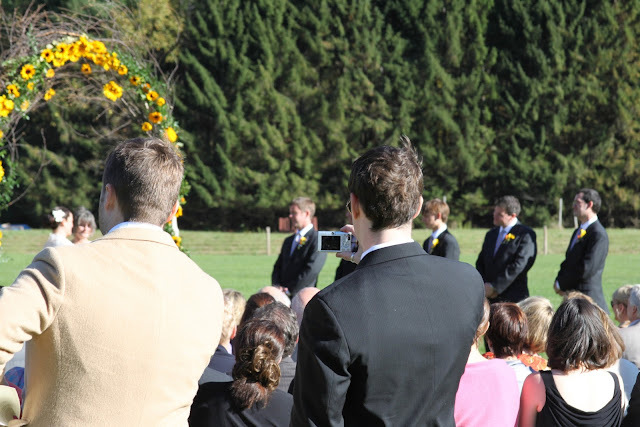 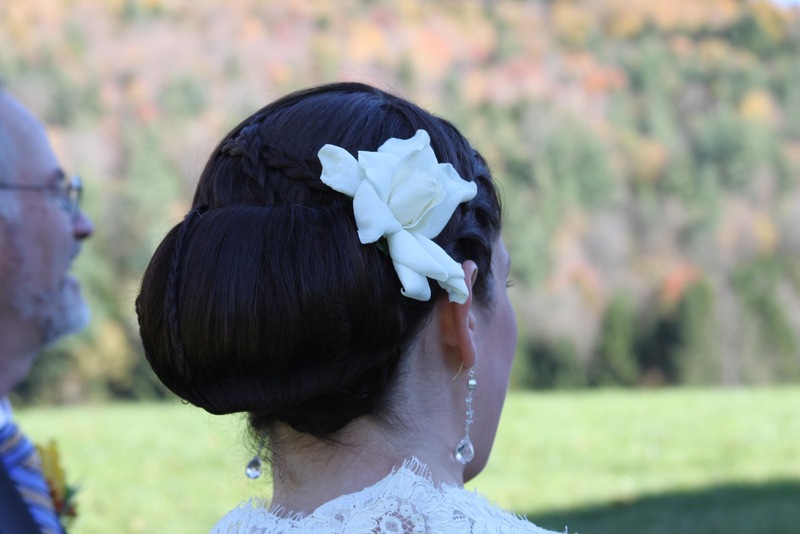 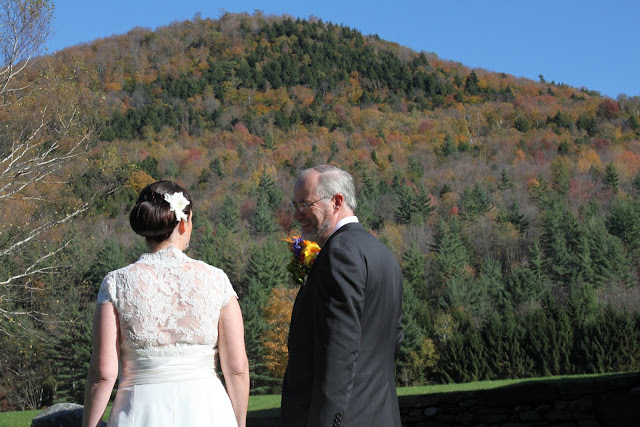 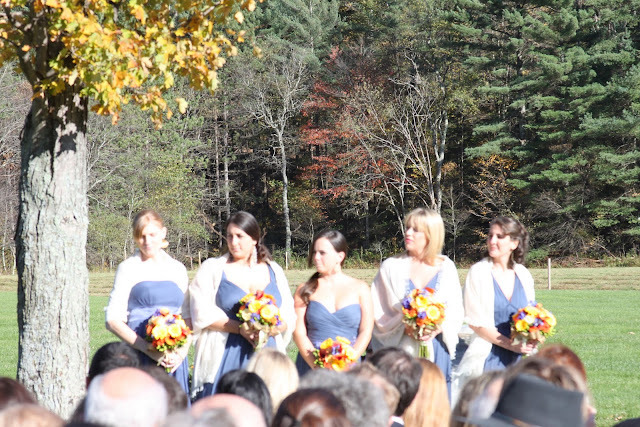 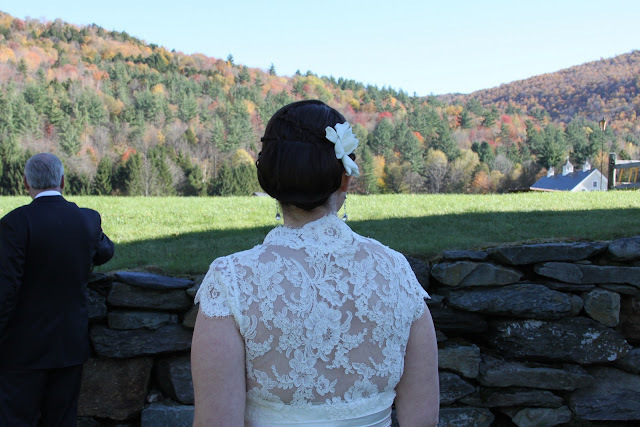 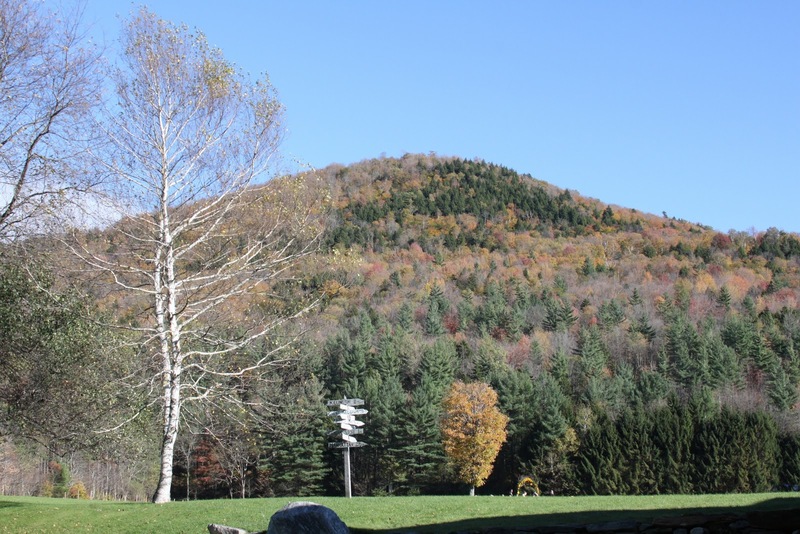 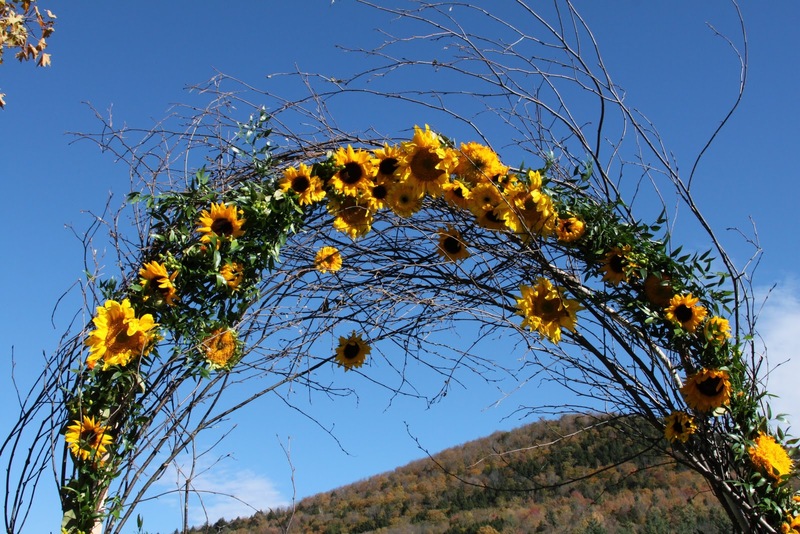 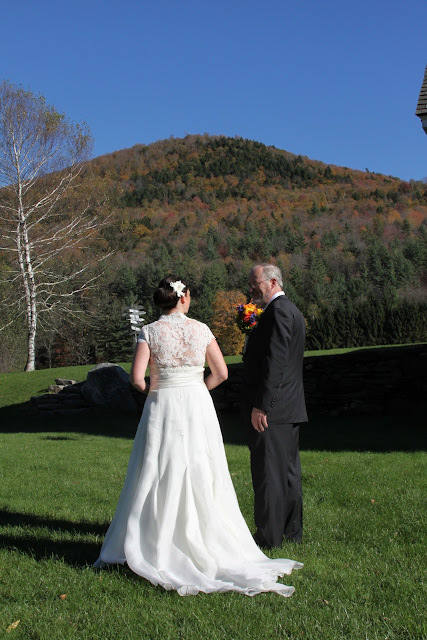 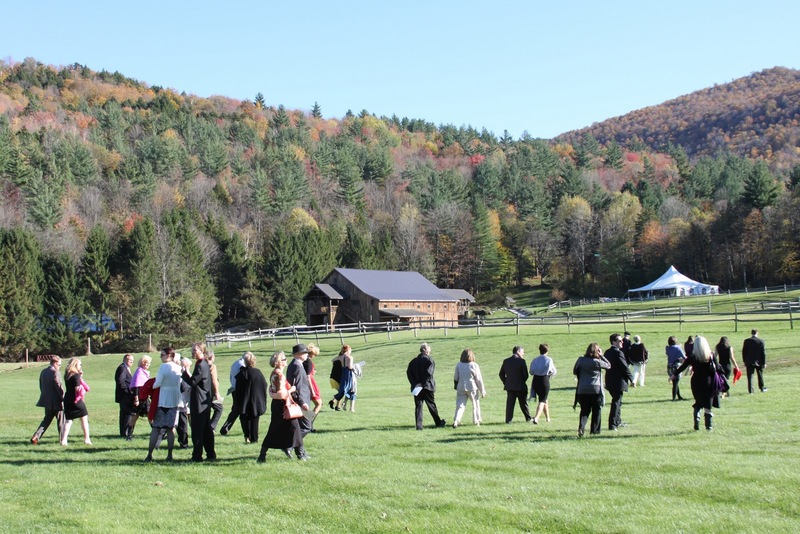 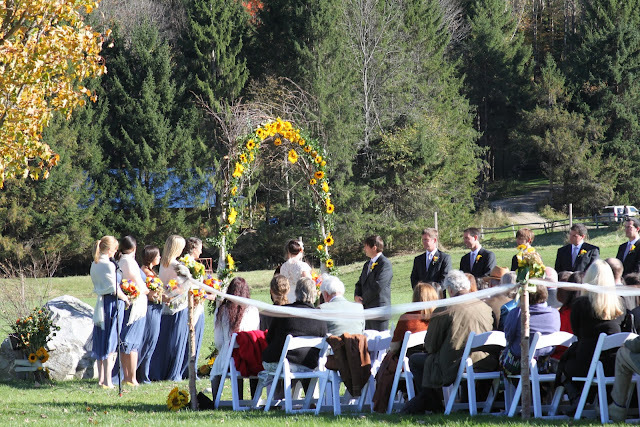 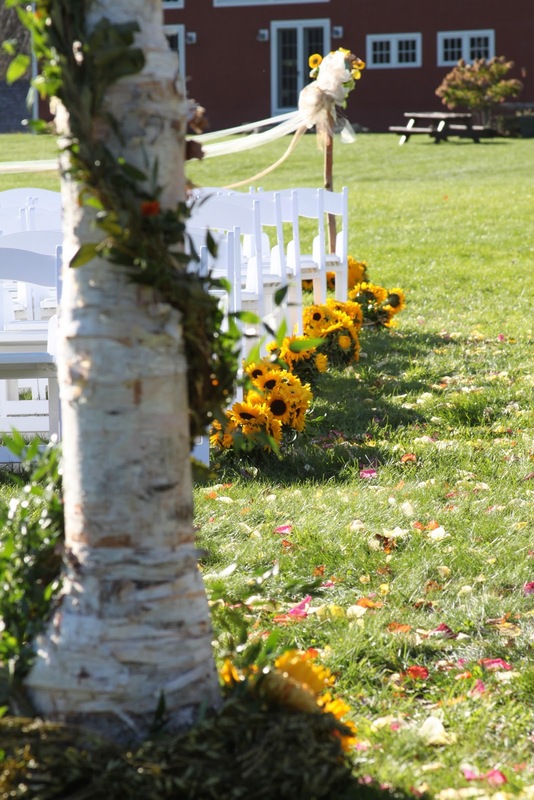 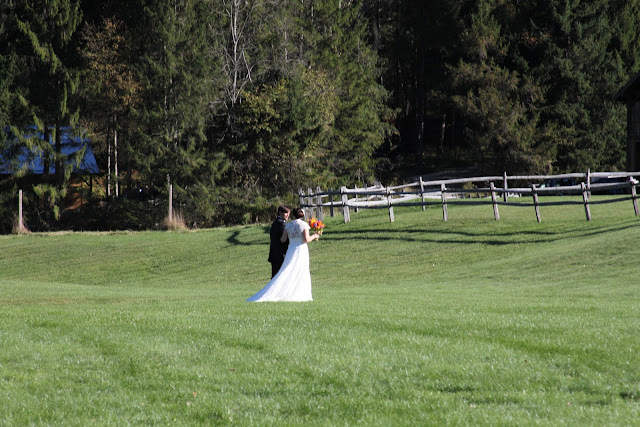 Their ceremony was beautiful – 63 degrees and sunny, blue skies and incredible color in the trees… Sarah wore a lovely, very sophisticated and classic dress with lace across her back and had a vintage vibe- especially with her fur wrap!…And her hair was great. See photos…. 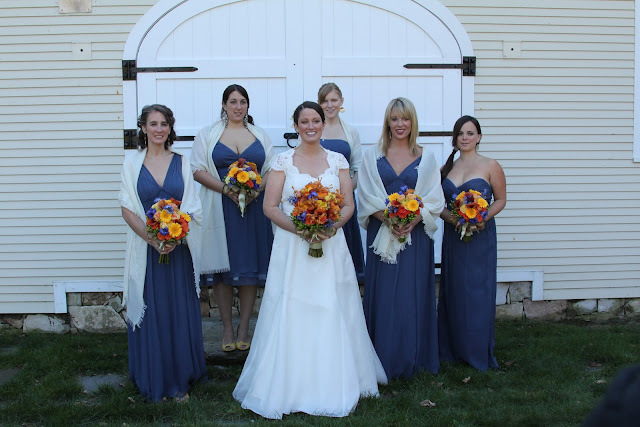 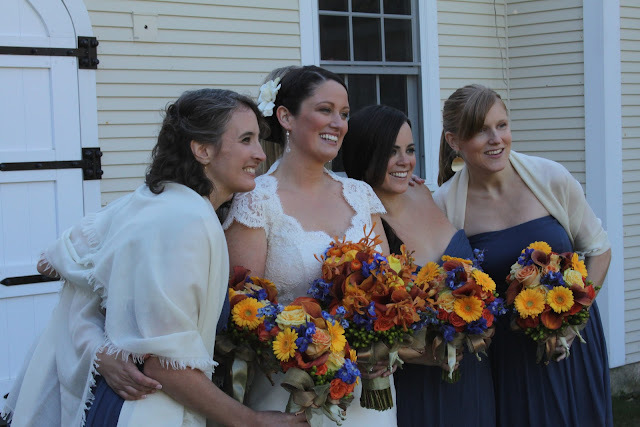 The bridesmaids wore a fabulous blue dress (cut in different styles for each girl)…an antique Farm-all Tractor and Wagon drove them up to their cocktail hour as their friends cheered them on… and their reception linen was a vibrant silk burnt-orange with an thin ivory overlay… with candles everywhere. 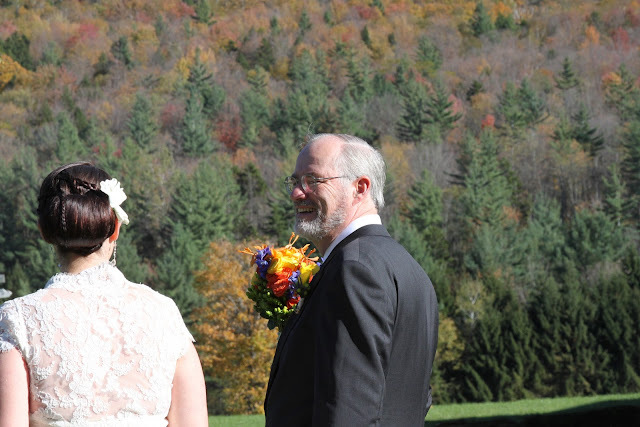 Probably, the best Father of the Bride toasts of all time. 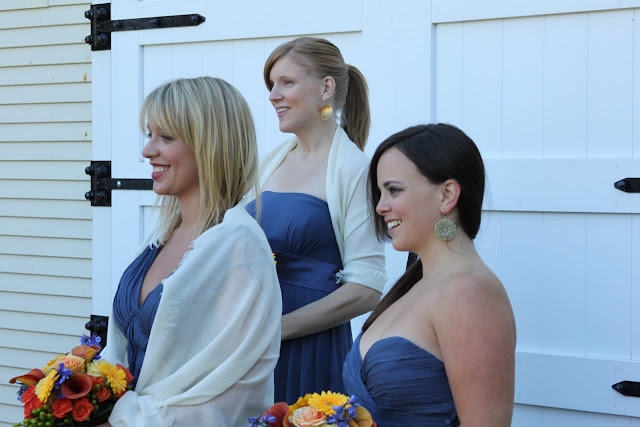 Great families. 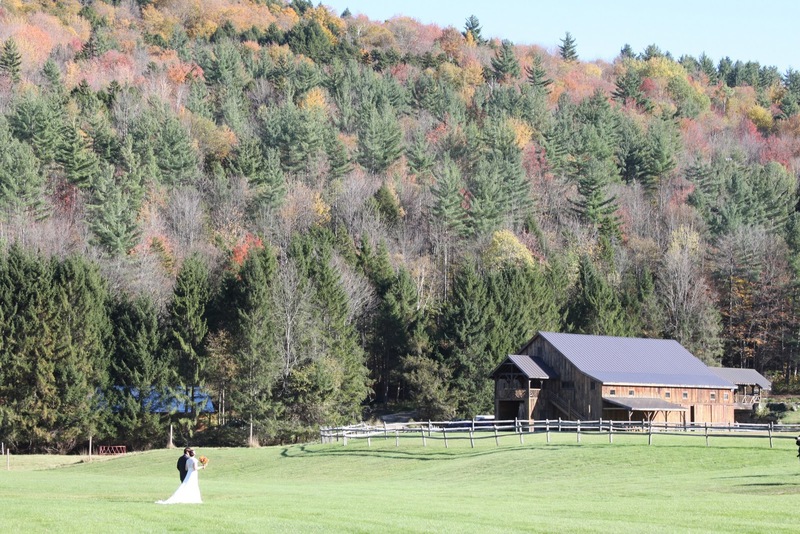 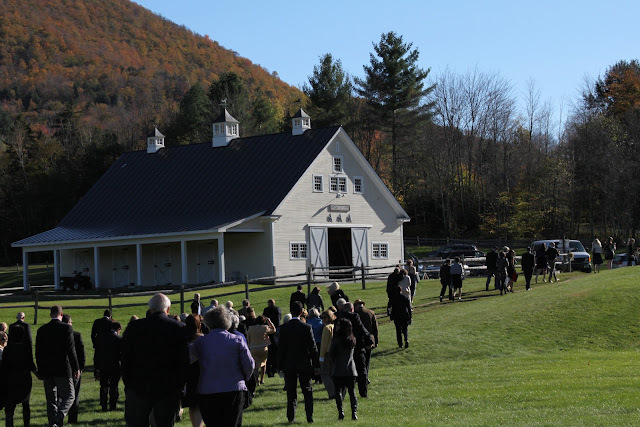 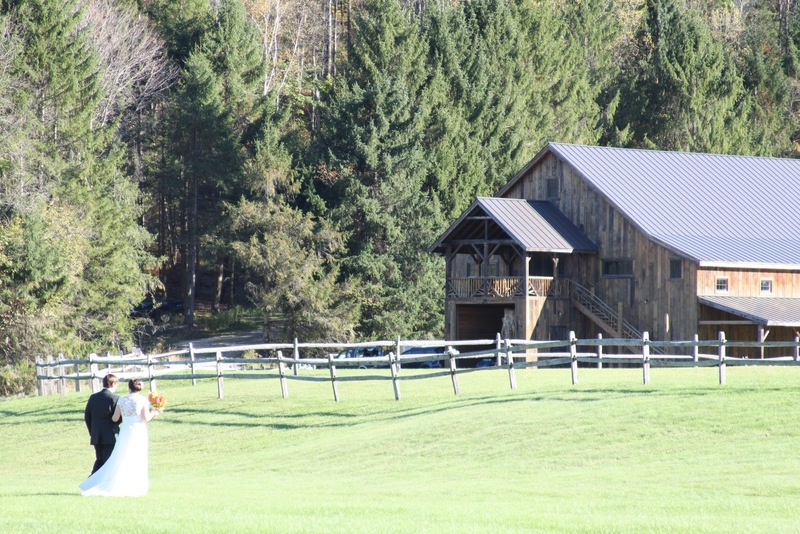 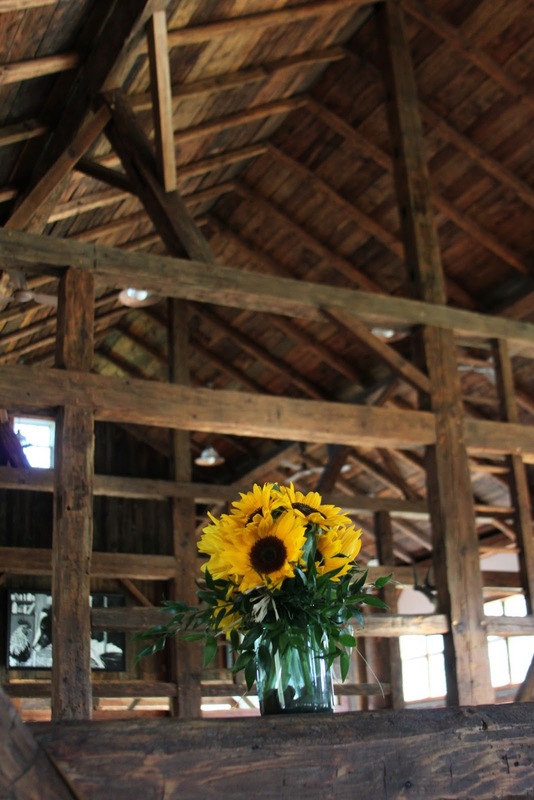 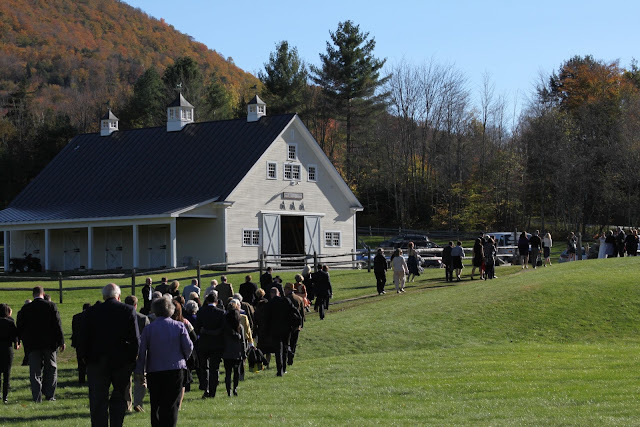 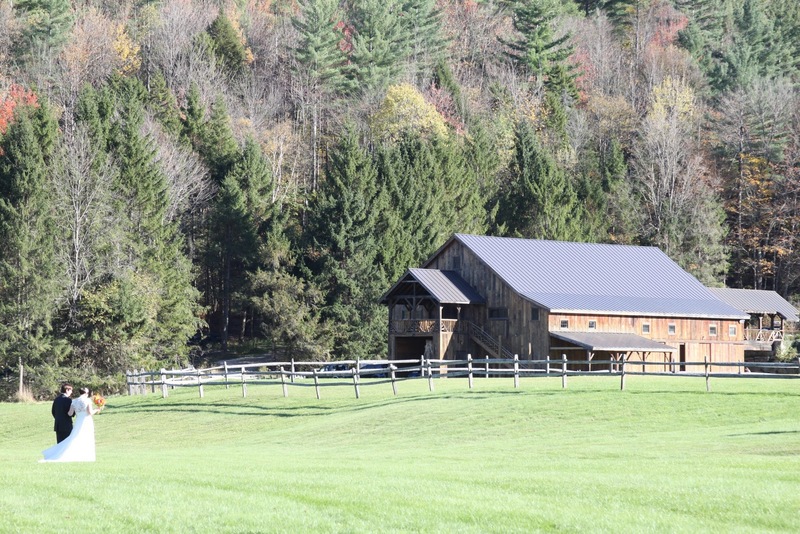 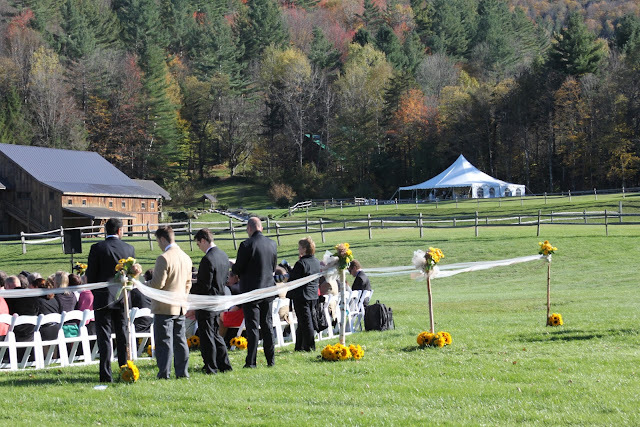 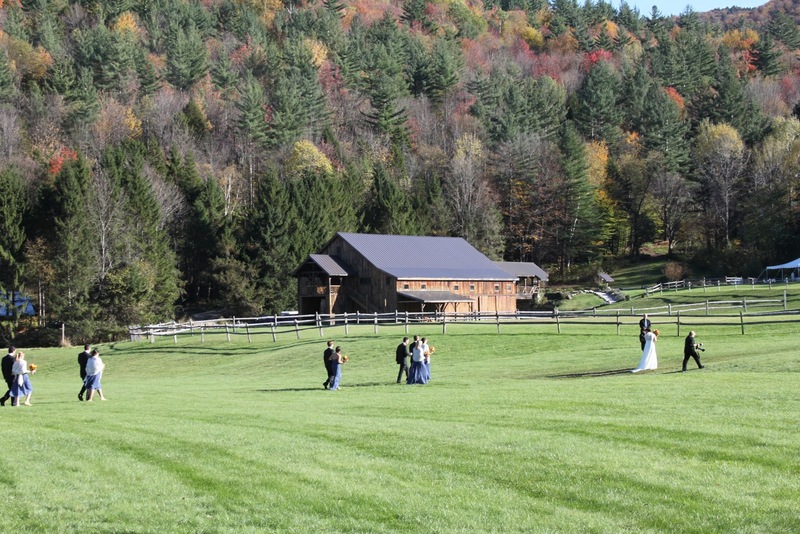 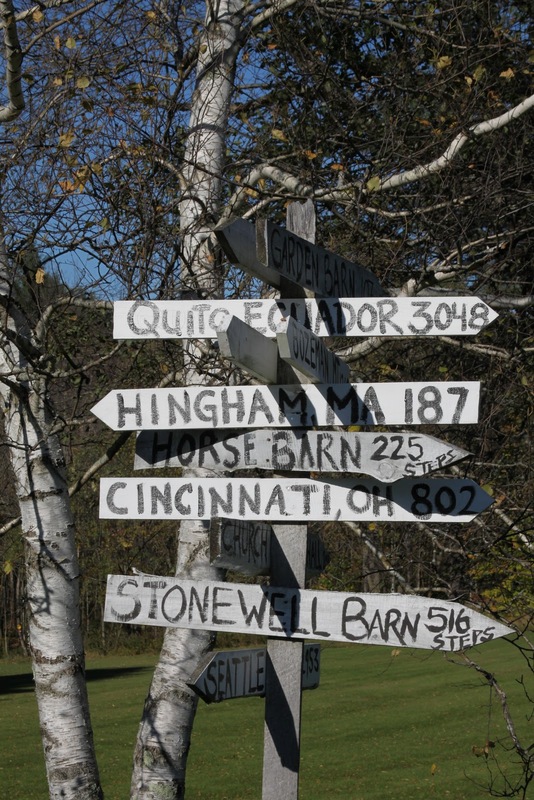 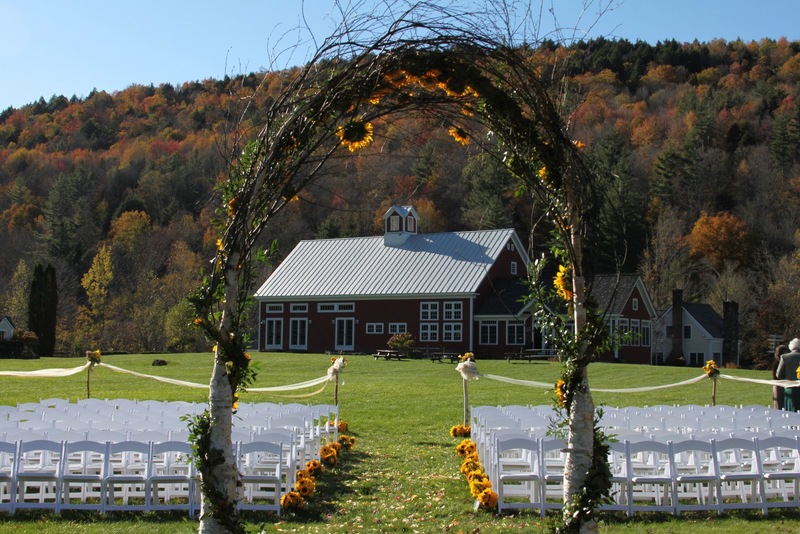 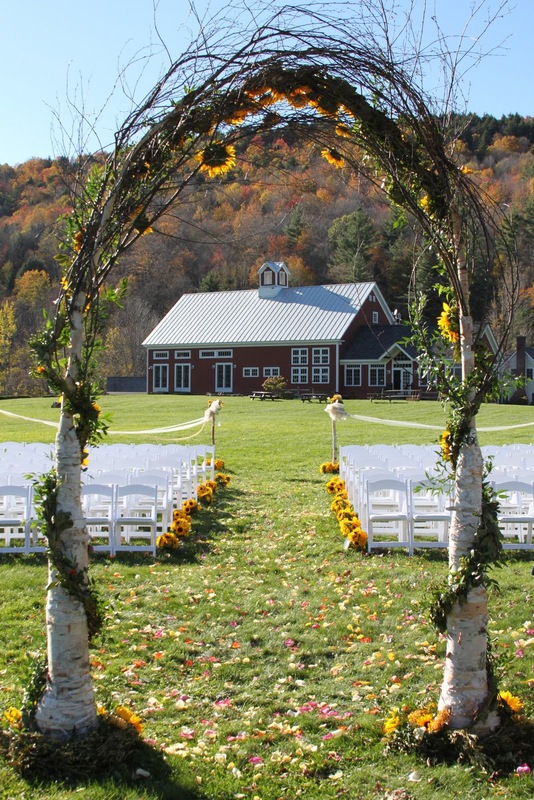 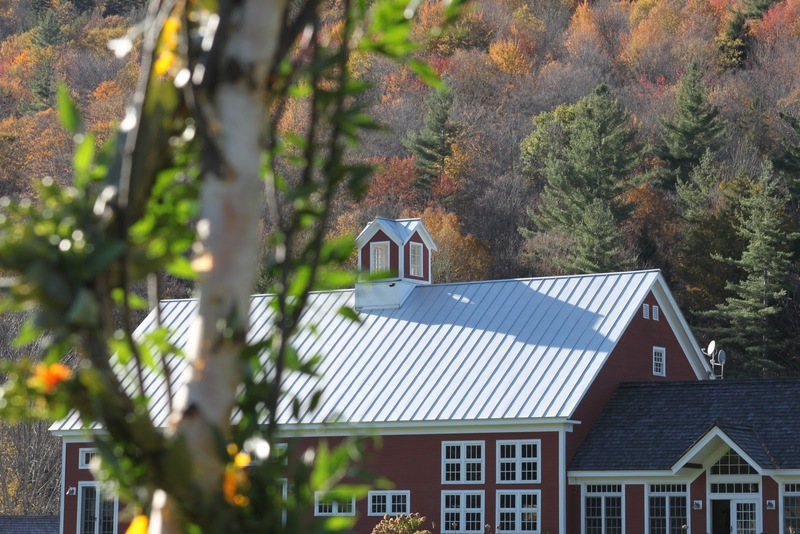 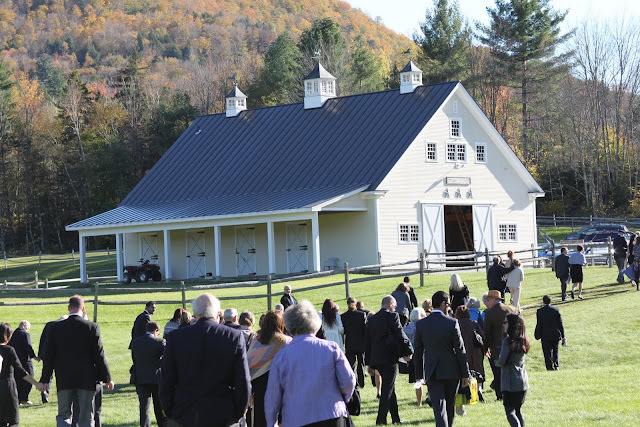 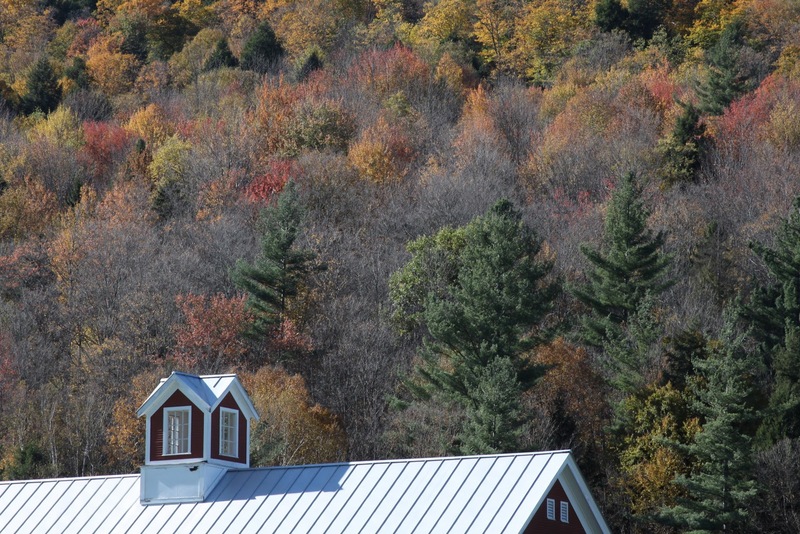 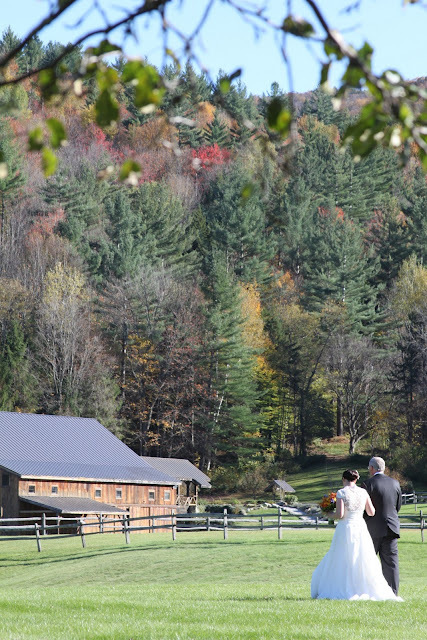 We are so lucky that such down to Earth, wonderful people like to get married in our barn:) OK I’ll stop now. 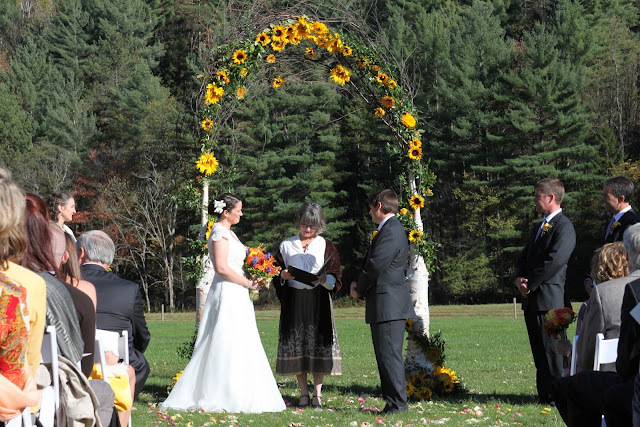 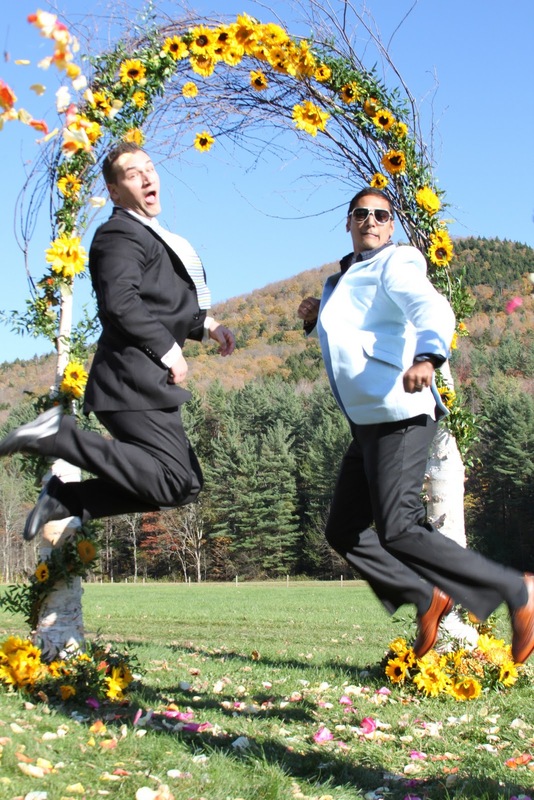 Check out these photos from the ceremony & reception!